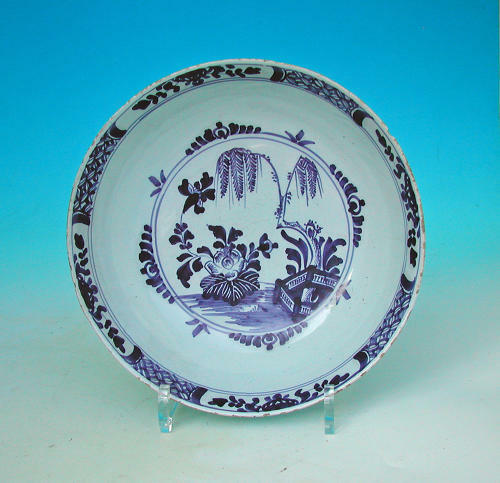 An 18thc Pottery Blue & White English Delftware Bowl, decorated with Oriental landscape, a fence, shrub, tree and flower sprays, all in blue, with a bluish glaze...probably Lambeth High Street, by Abigail Griffith. C1765-75. London, English. Provenance: Private collection.